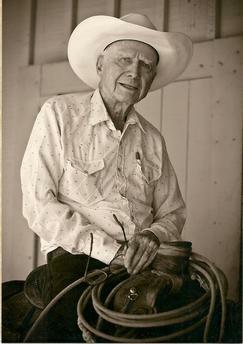 The Ione Valley Land, Air& Water Defense Alliance, LLC (Ione Valley LAWDA) was founded by (then) 94-year old Col. Fraser West, a decorated WWII US Marines Corps veteran, cowboy and rancher, and his daughter Sondra West-Moore, specifically to help Amador County citizens oppose the Newman Ridge Quarry and Edwin Center North Asphalt Plant. Ione Valley LAWDA is now made up of hundreds of local, state and international people who oppose these projects. These projects are opposed for numerous and complex reasons: Ione Valley land will now be near both a quarry and asphalt plant, increased serious health risks from asphalt and quarry operation toxins, water pollution, heavily increased industrial traffic on Highways 104 and 124 through the City of Ione as well as Michigan-Bar Road, diversion of scarce local water, zoning changes to Heavy Industrial, permanent impact on land, creeks, trees, threatened & endangered species, protected waters/wetlands and destruction of the Amador County rural way of life, specifically the Ione Valley. Our goal is to make sure Amador County understands we are FOR new jobs, FOR the environment, FOR quality of life, FOR clean new business and residential development, FOR your health, FOR agriculture, all of which can be accomplished without poisoning the land, air and water of the Ione Valley, and without Newman Ridge and Edwin Center projects. We want to increase the value of your land, enrich your lives and attract new opportunities at the same time. We have plans in the works already on all of these fronts. Viable alternatives are available, and should be considered. You know we are fighting and will continue to do so. Our local Hero, Col. Fraser E. West, highly decorated WW II Purple Heart Marines Corps Veteran, lifetime defender of American rights, Republican and tireless Community Leader, Worldwide Military Team Roper Champion, cowboy and breeder of registered Texas Longhorn cattle and Walnut grower, co-founded the Ione Valley Land Air and Water Defense Alliance (LAWDA) to oppose these Heavy Industry, non-essential, encroaching projects as they would kill Agriculture in Amador County forever.